Japanese carmaker Toyota has announced its backing for a group of engineers who are developing a flying car. It will give 40 million yen (£274, 000) to the Cartivator group that operates outside Toyota city in central Japan. The Nikkei Asian Review reports Toyota and its group companies have agreed in principle to support the project. 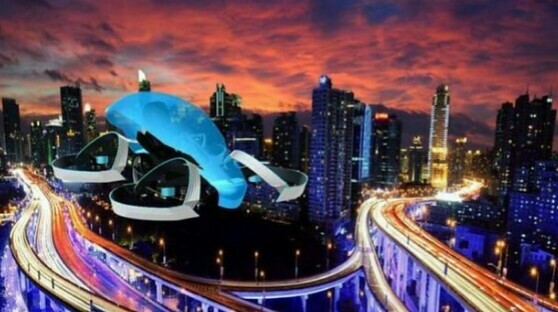 So far crowdfunding has paid for development of the so-called Skydrive car, which uses drone technology and has three wheels and four rotors. Uber plans to test on-demand flying cars network by 2020. Measuring 9.5ft (2.9m) by 4.3ft (1.3m), Skydrive claims to be the world’s smallest flying car. It has a projected top flight speed of 100km/h (62mph), while travelling up to 10m above the ground. The team of 30 volunteers developing the Skydrive car hopes its prototype could be used to light the Olympic flame when Tokyo hosts the summer games in 2020. Flying cars are something of a flavour-of-the-month at present, with firms from the US, Germany, Netherlands, China and Japan looking to turn science fiction into reality.